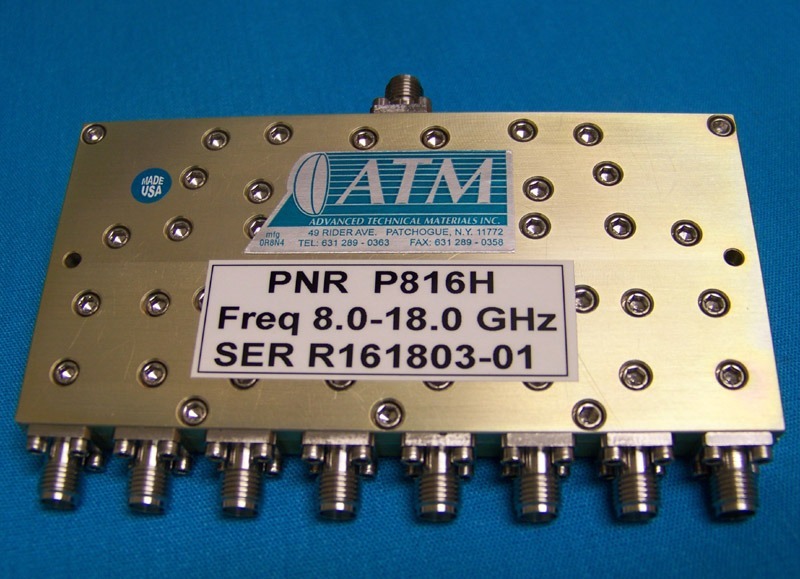 ATM manufactures a wide variety of SMA 2 Way, 4 Way, and 8 Way RF Power Divider / Power Splitter / Power Combiners to meet or exceed your design specifications. We offer power divider models for octave band, multi-band, wideband, and ultra-wide band up to 40 GHz. We also manufacture a complete line of Type-N RF Power Dividers / Power Splitters / Combiners. Please call us to discuss your requirements for power dividers or power combiners with one of our design engineers. *Specs for this model run from 2.0-18.0 GHz. From 18.0-26.5 GHz unit runs: ISO 12dB, VSWR 1.7 in/1.6 out, and IL 1.8 dB max. See also P214JT for another model in this band. **Specs from 1.0-2.0GHz: VSWR 1.67 in/1.40 out and Isolation 10dB. 2-18GHz as shown above. ***Specs from 5.0-6.0GHz: VSWR 1.45 in/1.40 out. Model No. 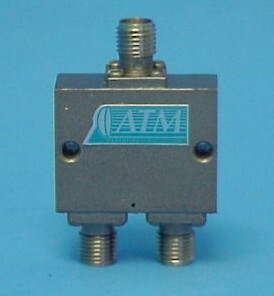 Freq (GHz) Iso.